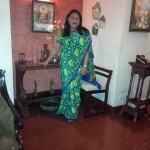 100sareepact | Every time I meet her, I get more inspired! Every time I meet her, I get more inspired! 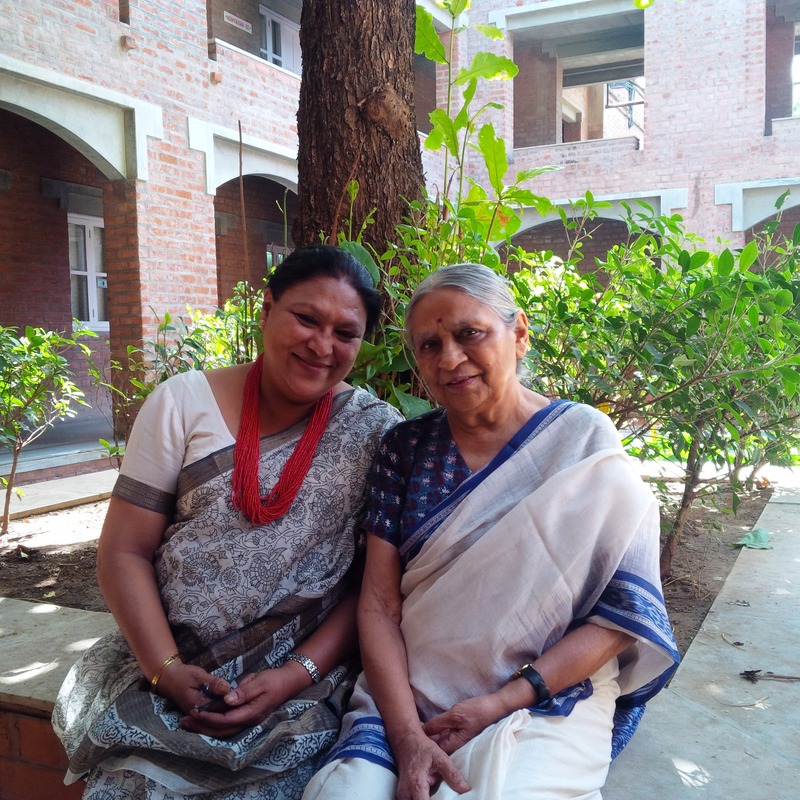 With Dr Ela Bhatt…and is there anyone in India especially connected with Women’s empowerment who hasn’t heard of her?And as my title says, every time I meet her, and trust me it has been almost 50 times across the last 15 years, I always come away even more inspired than the previous time. Elaben as she’s respectfully addressed is to my mind the most selfless Indian woman that I know personally. This day, she came to give a talk to the Aspire Circle Fellows for Social Leadership (of which I am one) at our 4th and last retreat for cohort 2. She spoke of her life’s journey, her trials, successes and learnings! and what a journey it has been, the group of 20 odd that were there both men and women, were awestruck. What a job she’s done with SEWA, unionising women head loaders, getting them access to finance, setting up a women’s bank..chairing the Women’s World Bank in Wash DC for 10 years, impacting women’s labour laws in India and just so much more! I have to stop as I can go on endlessly about this lady. She’s one in a billion! As this post is due to joining #100 sareepact, one line about the saree I wore is also called for- I love it for the subtle colours of off-white, Black and Gray. The print is traditional, the saree is Maheshwari, but the best part was that it was woven by the village women in Madhya Pradesh under the empowerment program run by REWA. I chose to wear it especially on that day for my meeting with Elaben.